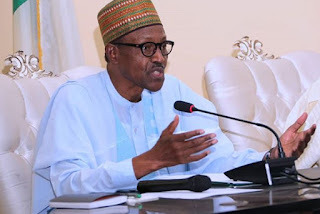 President Muhammadu Buhari has expressed astonishment at the huge amount of foreign currency flooding the country intending to influence the general elections beginning on Saturday. President Buhari spoke during the Federal Executive Council, FEC meeting Wednesday. In the President’s speech obtained by DAILY POST, he accused some politicians of flouting money laundering regulations in their desperate bid to capture political power. The EFCC success followed the presidential directive to investigative agencies to probe a number of high profile cases. Reassuring the nation of his administration’s determination to wage a relentless war against money laundering and terrorists financing, the President again appealed to Nigerians, especially politicians to place the interest of the country above all others, as they troop out to cast their votes in the coming elections.